We replaced our weathered brass fixture this weekend.The space is tight so anything new had to fit that space. We found a cute barrel shaped LED light with crackle glass, and since the Hubs is all about technology and convenience that was the one. My sister-in-law texted on Saturday that Hobby Lobby was chock full of fall decor. Barely believable until she followed up with a picture of the aisles of scarecrows, pumpkins and fall leaves. Soooo I told a friend who went today to Michaels and promised to report back. Yep fall has already arrived there as well. One thing we can say for sure, is that even though we both love fall, Melanie and I will be posting about SUMMER all summer long…at least until September ;-). So here is a virtual toast to cold lemonade on the porch, sandy toes, shorts, fireflies and warm days! 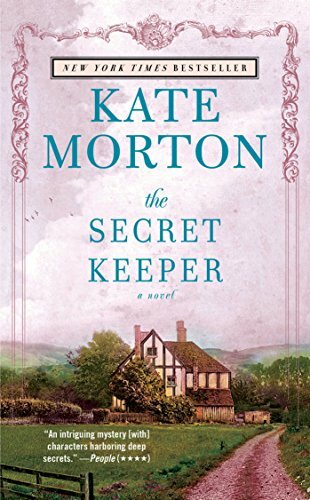 When you read a Kate Morton book you need to get comfy and let the story wrap around you. All of her stories have complex histories that drive the action of the plot. Morton weaves in and out of time seamlessly and in and out of character’s views equally so. For some time now I’ve been toying with the idea of stoning my fireplace. No, I wasn’t planning on punishing it by throwing stones at it, but it did need an attitude adjustment. The pink marble disagreed with everything my household stood for, so it had to change. I started my fireplace makeover by transforming it slightly, adding a mantel and surround. This helped tone down it’s boorish appearance. But, it was still there rearing it’s ugly head. The only way to rid ourselves of it’s impertinent appearance was stoning. The order from Proven Winners arrived quickly and I was thrilled that it arrived before the weekend. I cheaped out and bought the quart size instead of the gallon size and really hope that will be the right choice. $17 each vs $31 each (the gallon size was marked down from 40). At 9 plants that is a significant savings. If I had only bought 3 of them I would have gone for the larger ones. My Kids Don’t Drink Soda – I Swear! “My kids don’t drink soda.” I blurted out as I put three 12-packs of Fanta on the conveyer belt at the grocery store. She was perfect and I knew she must be judging me by what was in my grocery cart. Now the laundry room had a new coat of paint and new texture on the ceiling. But, not complete. I decided it needed a farmhouse table for folding laundry, however, after scouring all my local donation centers and several garage sales I did not find anything and buying new was not within our budget. Another item that was not in our budget was a skylight. It is a small room without windows and could definitely use some outside light. I knew I would need assistance with this tasks so I approached my husband who said “absolutely not”, so this part of the project isn’t happening, for now. White cabinets were exactly what I needed to give the room the crisp clean feel I was looking for. I measured the space and picked the perfect cabinets that were reasonably priced at Lowes. I went to pick them up and noticed a clearance area with a mini chandelier that I liked and was perfect for the space. I knew a chandelier for my laundry room was not in the budget, but it was $100 chandelier that I purchased for less than $35. At that point I knew my laundry room was getting a new chandelier. The cabinets were fairly straight forward to install. I was even able to do it almost all by myself. I followed the directions and it worked with some slight adjustments, as per directions.